When Bruce Lively founded Blue Jay Lawn Care in 1982, offering irrigation services was not even on his radar. The company was little more than a grass mowing endeavor, run by a high school kid. 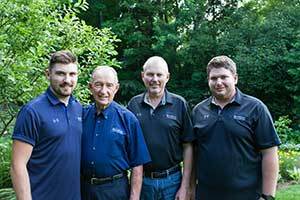 That all changed for the London, Ontario-based company when Bruce Lively attended the Landscape Ontario trade show in 1986 and stumbled across a small back-corner booth showcasing Toro’s irrigation products. Bruce Lively’s startup irrigation project consisted of installing a system at his parents’ house. From then on, he was hooked, according to Trevor Lively, Bruce Lively’s son. “A week later, my grandmother came home, opened up the garage and found it full of irrigation pipe. At that point, she knew he was into something different,” Trevor Lively says. The company officially became Blue Jay Sprinkler Systems in 1986. It currently employs three generations of the Lively Family: Linda and Don Lively—Bruce Lively’s parents—serve as accounts manager and service support, respectively. Founder Bruce Lively is currently the president. Bruce Lively’s wife, Betsy Lively, is the sales and installs administrator. Trevor Lively and Brent Lively—Bruce Lively’s sons—hold roles as general manager and service technician, respectively. The company offers 85 percent irrigation and 15 percent lighting and drainage services to a 40 percent commercial, 40 percent residential and 20 percent government clientele. It projects a $4.5 million annual revenue for 2018, up from $1.2 million in 2013, representing a 275 percent increase. Trevor Lively took over as general manager in 2011—right before Blue Jay Sprinkler Systems began its upward growth trend. He had worked his way up from technician and salesman before being promoted to general manager. From a young age, Trevor Lively knew he wanted a hand in the family business. He’d tag along with his father and grandfather on service calls, beginning at eight years old. At age 12, he accompanied his father to two different golf courses, where the pair performed irrigation work throughout the entire summer. “I was up at the crack of dawn, slugging away every day with (my dad). I loved it,” Trevor Lively says. As he’s ascended through the company, Trevor Lively says his biggest challenge was proving himself to other crew members. To account for the 275 percent increase in growth over six years, Trevor Lively points to several underlying factors. He says the company’s local landscaping partners have helped refer clients who may not have previously heard of Blue Jay Sprinkler Systems—or even considered irrigation services. In exchange, the landscaping partner receives a commission, based on the type of work and how long they’ve been in a partnership with Blue Jay Sprinkler Systems. Each winter, Blue Jay Sprinkler Systems evaluates the landscapers it worked with throughout the previous season and chooses its partners for the next season from there. 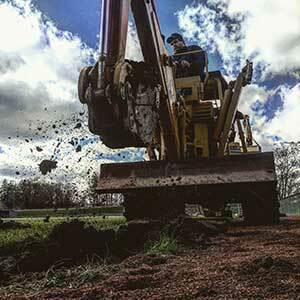 The company currently has about 25 landscaping partners across southwest Ontario. Trevor Lively also attributes the company’s growth to its budding online presence, which has helped with Blue Jay Sprinkler Systems’ branding. “We’ve done a really good job of rolling with the new times and making sure we’re continuing to be the front-runner in our marketing efforts,” he says. 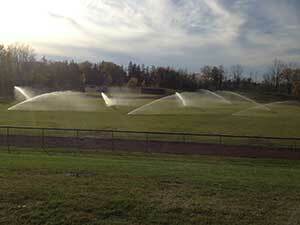 To help manage the digital marketing side, Blue Jay Sprinkler Systems hired a marketing company. Trevor Lively adds that while irrigation used to be a luxury item, the booming Toronto housing market and simultaneous upsurge in clients’ funds have made it easier for them to justify irrigation services. “Coming out of the recession, there’s just more funds to spend on luxury items,” he says. Rounding out the company’s success factors is its Blue Jay points system. Similar to a frequent flier miles program, Blue Jay points allows team members to earn points for receiving positive customer reviews, and demonstrating the company’s core values, which are: customers first, humbly confident, integrity, reputation and persistence. The points can be exchanged to purchase gift cards, GoPros, iPads and more. Despite Blue Jay Sprinkler Systems’ rapid growth, the company has still had to confront its own set of challenges. For example, the minimum wage in Ontario shot up from $11.60 to $14 per hour. While Trevor Lively says his employees generally earn more than minimum wage, other expenses—such as gas—have increased as a result of the new law. In turn, the company decided to raise its rates. “It’s been a juggling act the last couple of years, finding the balance of what we should charge, while ensuring we’re still producing the profits,” Trevor Lively says. To further combat these issues, the company installed a leadership team made up of Trevor Lively and the manager of each department: install, office, service and sales. Blue Jay Sprinkler Systems also has enlisted the help of a business coach—who was originally brought on to help with the transition of ownership from Bruce Lively to Trevor Lively. Looking ahead, Trevor Lively says he hopes to keep growing the company to provide more opportunities for employees. He also would like to make sure the generation transition is as smooth as possible for the company when his grandparents and parents eventually retire.